The present St. John’s Church was built in 1789 and substantially extended in 1854 by Joseph Welland. 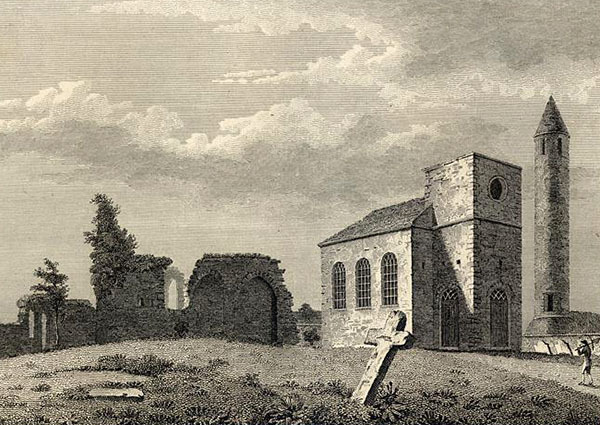 The medieval church which stood on this site was demolished in 1785 to allow for the building of the new church. All that remains of the earlier church is a column of stonework in the churchyard. It was built on the site of the old Monastery, some Medieval remains of which are still in the graveyard.